Hey everyone. 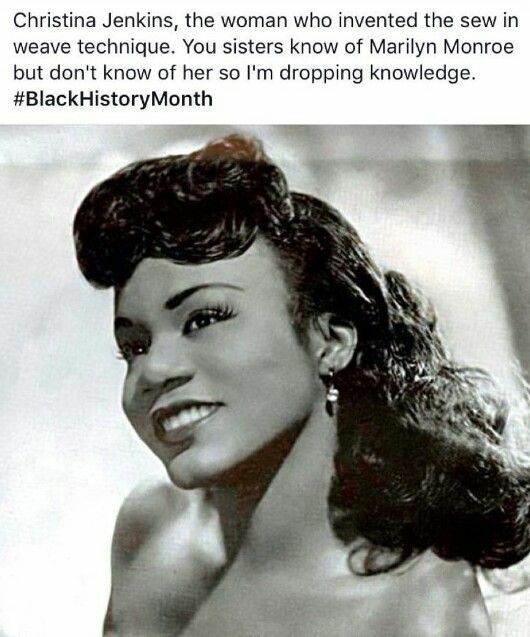 In celebration of Black History Month, I will be posting little tidbits and graphics to share throughout the month. This technique was invented by Mrs. Jenkins and patented in 1951. Christina and her husband Duke founded the company Christina's Hair Weeve in the early 1950s as well. We are awesome and creative people! Please share this graphic on your social networks.